It’s Fall, so what to do with all those apples? 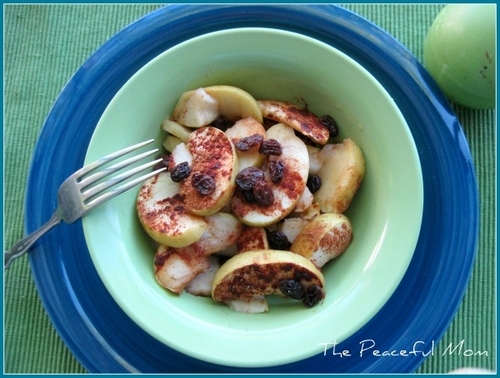 Try this easy baked apples recipe with cinnamon and raisins! 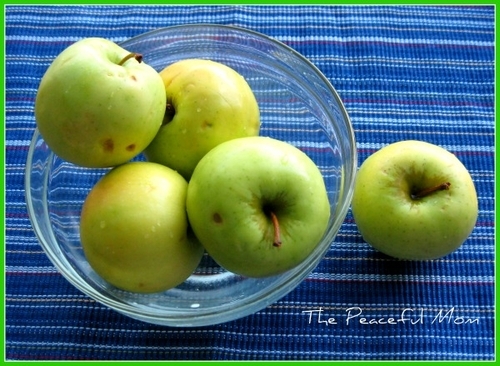 Core and slice apples into thin uniform pieces. 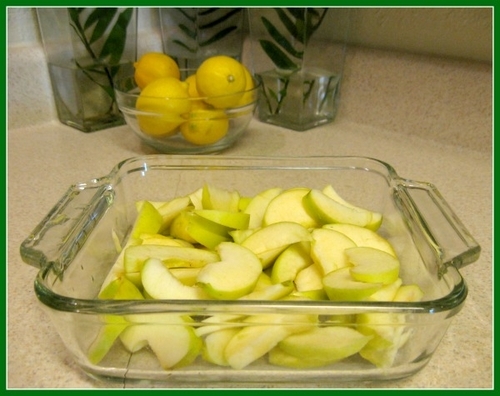 Place in a glass baking dish and add just enough water to cover the bottom of the dish. 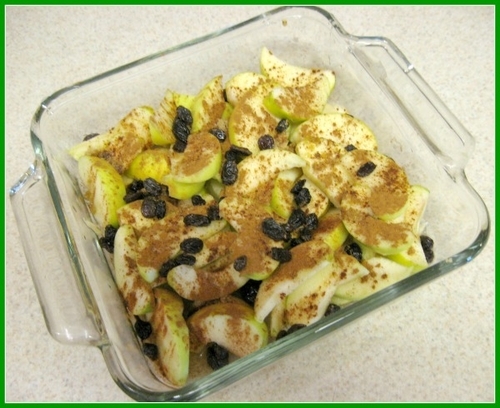 Spread raisins throughout the apple slices. Sprinkle with cinnamon and brown sugar. 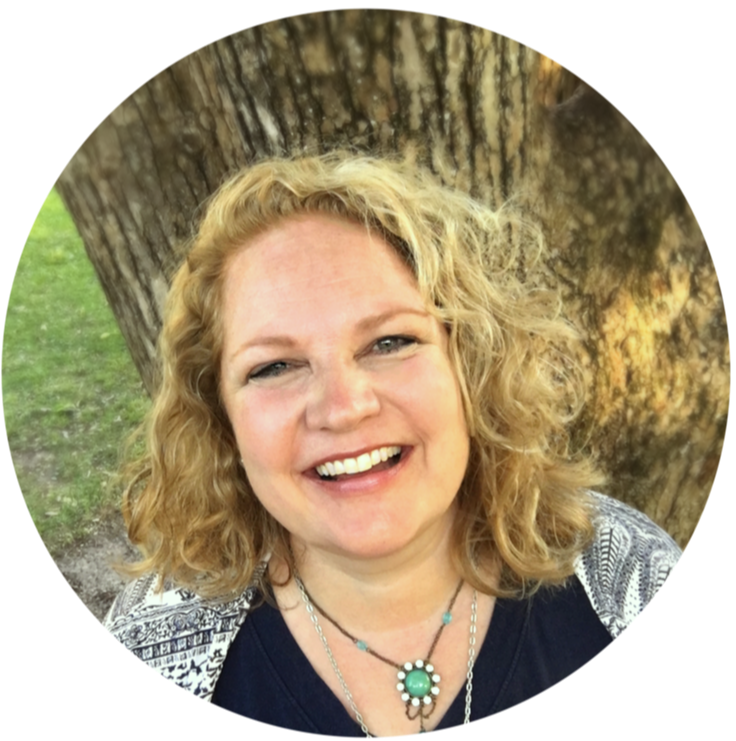 I’m linking up at Gluten Free Wednesdays and Tasty Tuesday! Previous Post: « New Scotch Brite Coupon! Ah…this is amazing!! I used our dehydrated apples we made over the summer, let them re-hydrate and then used those…and our own dehydrated grapes (raisins)….this is a really good, guilt-free dessert!! 😀 Thanks for sharing! That certainly is easier than coring the apples, stuffing them and then baking. I’m all for easy. Going to give it a try. I made these today for lunch, alongside some apple spice pancakes. They were delicious, my 2 1/2 year old gobbled up two helpings! Next time, if I had a little more time, I would peel the apples but they’re good with the skin too! Thanks for a quick and healthy snack!